In-vessel composting refers to any type of composting that takes place inside a structure, container or vessel. Each type of system relies upon mechanical aeration and turning to enhance and decrease the duration of the composting process. 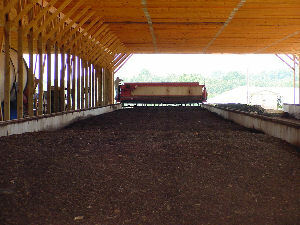 The goal of in-vessel composting systems is to combine various composting techniques into one controlled environment, which utilizes the strength and minimizes the weakness inherent to other forms of composting. 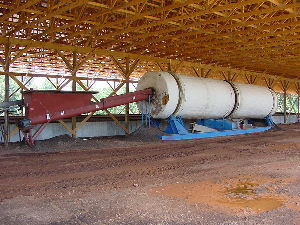 In-vessel composting system used for poultry manure. CC 2.5 Jason Governo.